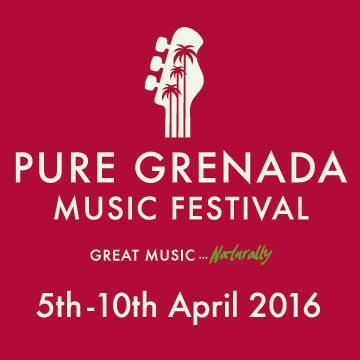 5 Grenadian bands have been selected to headline for international acts at the inaugural Pure Grenada Music Festival (PGMF) on 5–10 April 2016. Soul Deep, Jomo & Gylfi, Spice Rock, The Phoenix and Sabrina Francis topped the ‘Ready for the Big Stage’ competition launched by the PGMF steering committee in September. “We had 10 great local bands, all performing original songs. We wanted to ensure that there was a place on the festival’s programme for Grenadian musicians to showcase their talents, and really get a taste of what it is like to perform on the same stage as professional artistes,” said Dieter Burkhalter, PGMF steering committee member on the programme sub-committee. So many incredible performances and quality of all bands, that the judges felt compelled to incorporate all bands in the festival. The other 5 bands, Love Vibes, Natty & Channel 12, Ahkeem & Nature Claim, Changes, and Sheereen Brizan & the Inflactionz will also be featured on the PGMF mobile stages in Grenville and Gouyave. The bands will work along with mentors, who are seasoned musicians and performers during the 148 days leading up to the music festival. The riveting performances of all ten bands of the Ready for the Big Stage competition can be viewed on the Pure Grenada Music Festival’s YouTube channel.